We have something for every budget and every student! We are here to help you choose the best option! 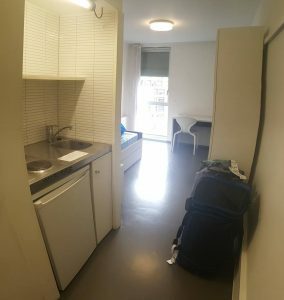 This is the typical student housing in Paris. 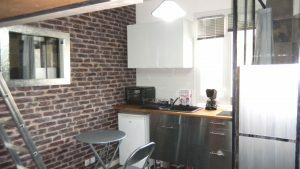 Small, studio apartments, with shared bathrooms in the hall, have been created in the former maid’s quarters of historic Parisian buildings. 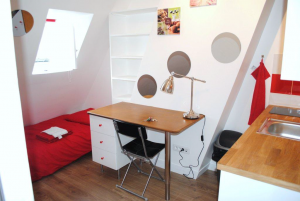 Great for a student budget as they range from 250-750€ per month. You will have the best view of the city! 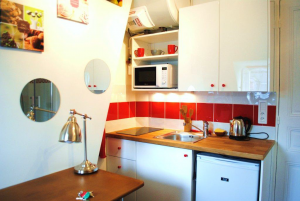 For those looking to live alone and wanting a bit more space, a studio apartment is a great option. 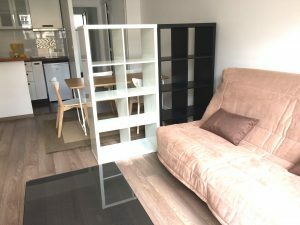 The whole apartment is contained in one room, which gives it a nice cozy feel. 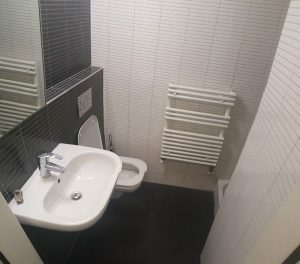 This option starts at 600€ per month. 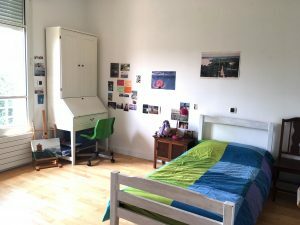 We have a limited number of places available in student residences, which provide comfortable furnished housing at an affordable price for lower-income students. 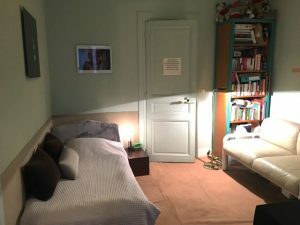 These rooms start at 400€ a month. 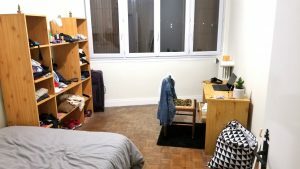 “Colocs,” in French, are a great option for students looking to save money by living with the friends they made during the intensive session. 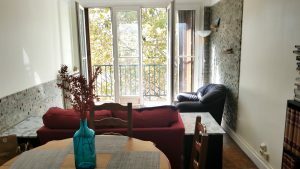 These apartments range from 700-1000€ per person per month. Looking for an authentic immersion experience? 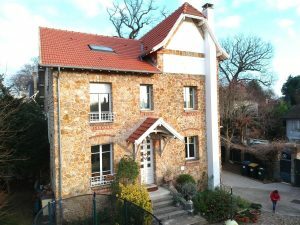 Living with a French family is a great way to experience French life and live at lower cost. Living with a family gives you all the benefits of being with people and the privacy of having your own private room. This option ranges from 450-750€ per month. Like the family home option, this housing choice will bring you close to a family. For students looking for the most affordable option, this one is for you. Students are offered (or given a reduced price for) a private room in exchange for helping to look after the family’s children! 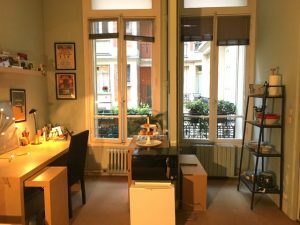 The MICEFA is here to help you choose your housing when you arrive in Paris for your Exchange Program. We will help you every step of the way ! One-on-one advising, help navigating the housing market in Paris, assistance calling landlords, scheduling visits and so much more! Through our listing of offers you will choose the right housing option for you and your budget! You must first be nominated to the MICEFA through your Study Abroad office at your University. Once you have been accepted by MICEFA, the housing process can begin. Look at the types of housing available and find which housing option will be best for you. Confirm you maximum budget that you can afford per month in rent and utilities. Decide if you would like to take housing through the MICEFA, be an Au Pair or opt for housing options outside of MICEFA. MICEFA will contact you via email asking you to give your choice of housing option and your budget. If you have chosen the Au Pair option, MICEFA will put you in contact with the families at this time. During your Skype call with MICEFA staff you will have the opportunity to ask questions and finalize the housing option that you are interested in. Go to your temporary housing (if you have chosen this option through MICEFA). Get to know fellow MICEFA students and finalize your budget and choice before the housing workshops. Look through the MICEFA housing listing, call landlords and set up visits. During this time MICEFA staff will accompany you. Go visit at the actual housing option, see if it is what you were expecting and meet the landlord. Make your final housing choice! Move into your new home! MICEFA will be there if you need any help during the exchange. Inform the MICEFA of your housing choice.